Maria Masington is a poet, essayist, and short story writer from Wilmington, Delaware. Her poetry has been published in The News Journal, The Red River Review, Damozel Literary Journal, The Survivor’s Review, Wanderings, Currents, The Fox Chase Review, Van Gogh’s Ear, and by the University of Colorado. Her short story “Impresario” appeared in the anthology Someone Wicked and her short story “The Triple Mary” is in the anthology Beach Nights. She co-edits The Cicadas’s Cry, a haiku publication. 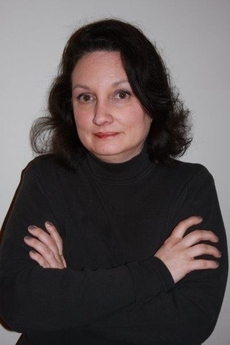 Maria is a member of the Written Remains Writers Guild and she is active in the Delaware and Philadelphia art scene. She has been a guest on WVUD ArtSounds, and invited as featured reader at the Fox Chase Review Reading series in Philadelphia and 2nd Saturday Poets in Wilmington. Maria also freelances as an emcee at various artist venues, including the Newark Arts Alliance’s monthly Open Mic. In 2011 and 2013, she was selected by the Delaware Division of the Arts as a Fellow for the Cape Henlopen Poets & Prose Writers Retreat. Maria's story, "Impresario," was published in Someone Wicked: A Written Remains Anthology. Her story, "Bark of the Dog-Faced Girl," appeared in A Plague of Shadows: A Written Remains Anthology.